I want to be a great plumber like my brother Mario - Luigi is also an important Nintendo - Mario character. 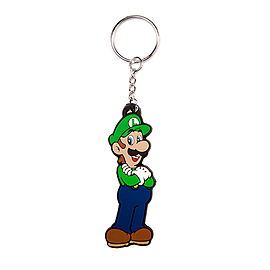 A luigi keychain can not be missed in the Nintendo - Mario keychain collection. The kechain is green and blue and it's made of 100% Resin.